Not Just a Pipe Dream. Since 1994, Westside Welding, Inc. has been a premium custom fabricator in Canutillo, Texas. We specialize in creating custom work with aluminum and stainless steel design, fabrication, installation and are equipped and qualified to handle almost all of your fabrication needs for commercial and industrial areas. Contact us today for estimates on your project! From prototypes to full production runs, aluminum to stainless steel, no matter what the specifics of your metal fabrication project, the team at Westside Welding, Inc. is ready to take it on. We’re the local experts for all things involving welding fabrication in El Paso, TX, equipped with the knowledge and tools to tailor our creations to your unique specifications. We welcome commercial and industrial customers from around the state, with the capabilities to produce and ship nationwide. We welcome the opportunity to put our seasoned expertise to work for you, on your next aluminum or stainless steel design, fabrication or repair project. Each member of our team is highly skilled and well-rounded in his trade. 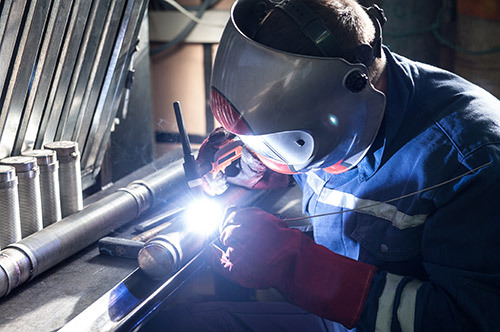 Our tenured staff—combined with our fully-equipped facilities—enables us to tackle welding and fabrication in El Paso, TX with a quality and cost-effective approach. This means your project is always completed on time and within budget, made to spec and exceeding all quality standards! Whether it’s prototyping for a specialized component or welding in El Paso, TX for a piece that’s already been formed, we’re ready to lend a hand. Let us put our decades of experience to work for you—we promise your complete satisfaction. Our RSTAMP-certified welders are all qualified to create and repair any jobs you may have. We’re a proud member of the Hispanic Chamber of Commerce in Texas. Our business has been locally-owned and –operated in Canutillo, TX since 1994. We’re equipped to tackle most commercial and industrial metalworking jobs. We offer free estimates to customers on all metalworking projects. From basic sheet metal work to custom fabrication and welding, we’re the local experts you can trust with your project. Contact us today for a free quote and we’ll be happy to get started. July 10, 2017 John E.
"I broke the front lever on my Magura Hydraulic brake and kinked the handlebar. I went to Lone Star Welding/CEO Jerry for his recommendation ..."